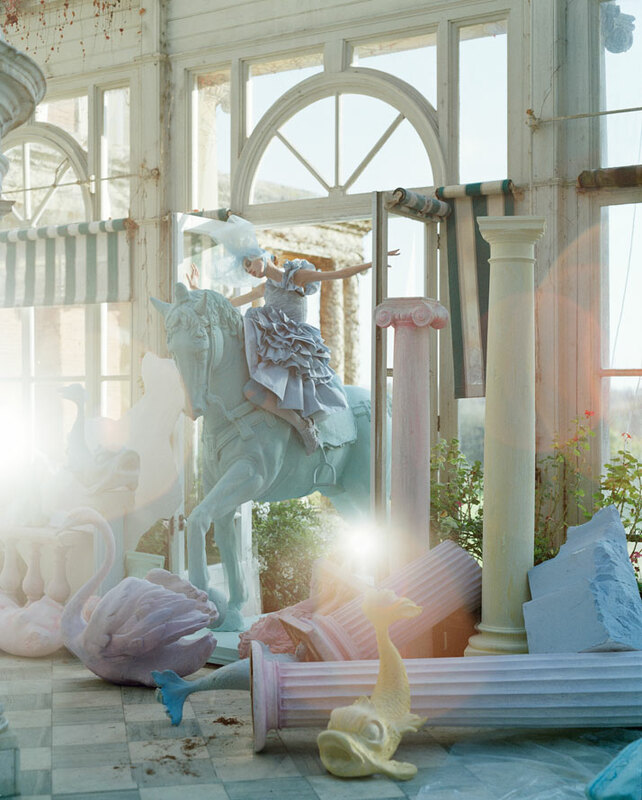 This autumn, fairytales, magic and dreams are sure to flood through London’s Somerset House and into our imaginations as the new exhibition titled ‘Story Teller’ presents the work of legendary British fashion photographer Tim Walker - until 27 January 2013. 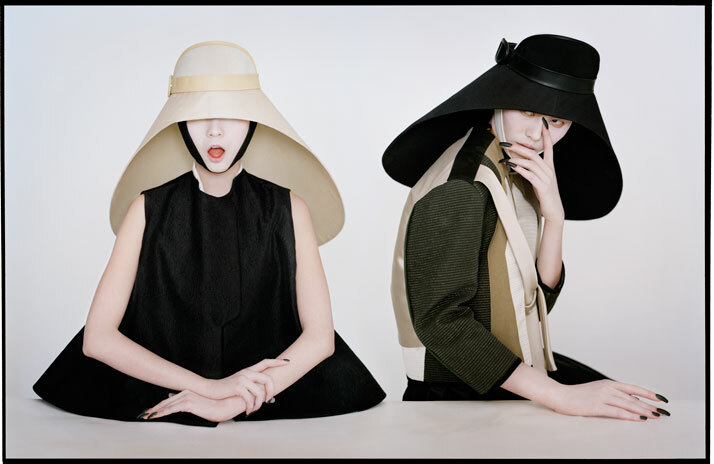 Having photographed the biggest names in contemporary fashion, Tim Walker is known for his dream-like images captured in theatrical extravagant sets that ultimately complement and showcase the haute couture garments that he photographs. 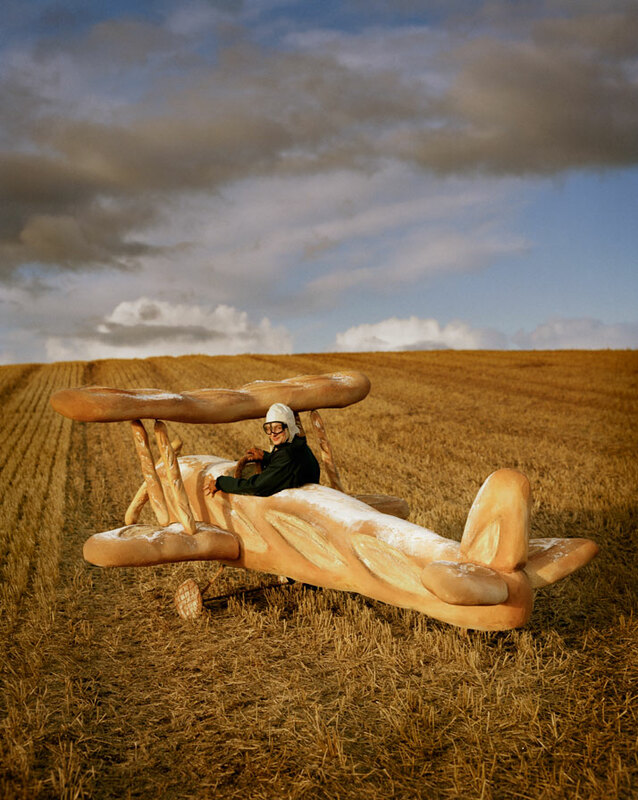 Like an eternal child, Tim Walker designs sets using his wildest imagination juxtaposing the magical and the real and the humorous and the macabre in one perfect image that tells its own story in its own right. In his photographs, he creates mysterious and out of this world backgrounds to complement the clothes he photographs which hailing from some of the most iconic brands in the world, are reinvented and come into a world of their own. His images also convey a strong fascination with everything that could be imagined in a fantastical world where fashion plays a pivotal role acting as the main link that brings these fantasies to life. Colors, beauty, clothes and props create surreal and bizarre characters often inspired by fairytales, such as Alice in Wonderland and the Wizard of Oz inviting the viewer to embrace the dream-like moment and dive into the photographer’s wildest dreams that all come to life through a single and magical click on his camera. 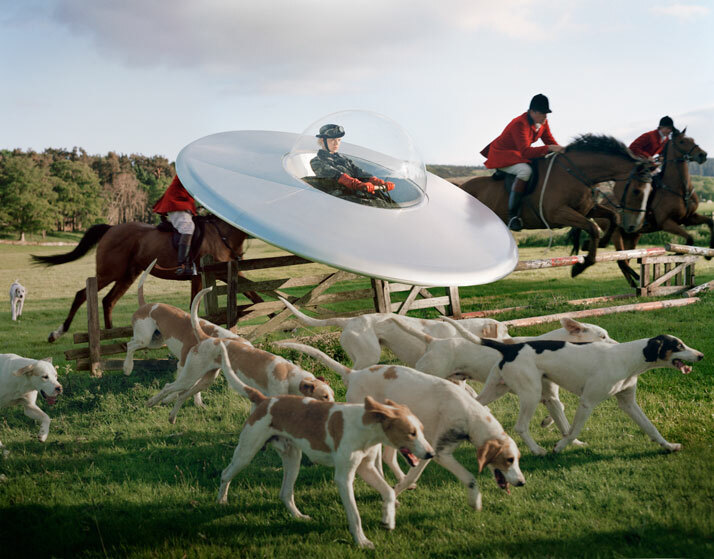 The fact that Tim Walker does not fall into cheesy aesthetics is testament to the manner in which he draws from contemporary romanticism. He dangerously but successfully peppers his work with references to Tim Burton’s gothic characters, new day vamps such as Scarlett Johansson as well as bizarre but beautiful divas of fashion such as Vivienne Westwood and Tilda Swinton. A welcome highlight of the show and a concrete indication of his endless versatility, are his Monty Python portraitures in a humorous style reminiscent of other old school comedies acts. To coincide with his show, publishing house Thames & Hudson published a book, titled 'Tim Walker : Story Teller’ under the artistic direction of Ruth Ansel featuring 174 inspirational photographs, collages and snapshots from the photographer’s personal archives.